Call him a musical renaissance man. 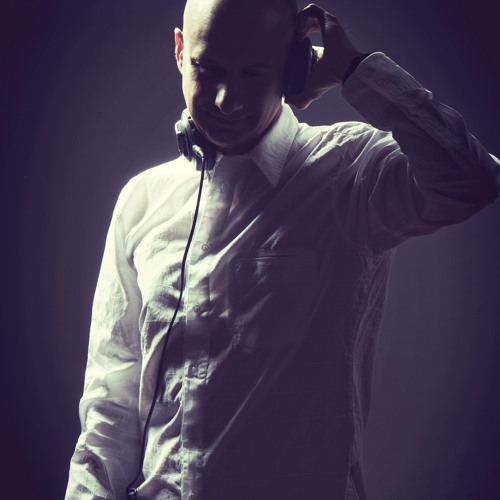 Nick Fiorucci is not just an internationally in-demand dance music DJ, but a highly successful producer, remixer, songwriter and record label head. The Toronto native combined his passion for music and his entrepreneurial skills from an early age. At 18, he had already become a top Toronto club DJ. After graduating from the TREBAS Institute with a diploma in the recording arts and sciences, he established his first dance music label, the legendary Bigshot Records. In 1990, he teamed with fellow DJ Michael Ova to launch Hi-Bias, a label that would transform the Canadian dance music industry. His contributions were noted in 1999, when Nick Fiorucci was inducted into the CanDance Hall of Fame. The Hall, dedicated to the pioneers and builders of Canadian dance music, declared that Hi-Bias be recognized as Canada’s most successful underground dance indie. In its eleven years of existence, the still-thriving label has notched the impressive tally of 11 Juno nominations and one victory. It also gave domestic dance music acts much-needed exposure at home and abroad. Throughout this period, Nick has taken a completely hands-on role. “I have worn all the hats,” he explains. “From the creative and production side to the legal aspects of signing acts and licensing, right to the promotion and marketing side. I oversee everything from the ground up, from music selection to pre- production, where I may be collaborating as a musician or songwriter. I groom the artist, produce them, then press, package, release, market and promote the music.” Fiorucci still finds time to stay on top of the international dance music scene by taking select DJ engagements in North America and Europe. Over the past decade, he has regularly attended such major industry trade conferences as MIDEM, Popkomm and the Winter Music Conference, where he was a frequent panel moderator and participant. As a result, he has built up an extensive database of important international contacts. Other labels have utilized Nick’s skills as a producer and remixer. An impressive list of international credits includes Kate Perry, Britney Spears, Sam Smith, TLC, Eiffel 65, Brandy, Laura Pausini, ATB, Gino Vannelli, Masters At Work, M- People, Single Gun Theory, Kristine W, Urban Cookie Collective, and many more. On the music publishing side, Fiorucci isn’t just a talented and experienced songwriter. He has intelligently administered an impressive publishing catalog, placing songs and soliciting covers internationally. As head of a long-established independent label, he has honed his marketing and promotional skills. From marketing plans, sales presentations and advertising buys to handling media relations, retail, merchandising and branching into e-commerce, he has tackled every facet of the business with dynamism and creative flair. Fiorucci’s abilities as a business manager have been demonstrated by the way in which he has motivated a consistently growing group of employees into following his creative and commercial visions. This accumulated wealth of creative and business experience marks Nick Fiorucci as an invaluable asset for collaborative projects within the music industry and a major force to be reckoned with.